I want to thank Midway for being so great after Thrifty Car Rental tried to rip me off. I originally booked with Thrifty, but when I tried to change my pick-up time to 36 hours after I originally planned, Thrifty tried to increase my price for a week rental by more than $500! That’s when I found Midway for a last minute rental. I was a little skeptical about renting from a company I had never heard of, but I will now definitely use them every time I go to CA. Their service was great, I was in and out of their office quickly, and they sent me clear email instructions on how to take their shuttle. And on my way home, the shuttle driver wouldn’t even take a tip from me. I was truly impressed by Midway and highly recommend them! Midway was an absolutely great experience for my first time renting a car and the fact that I’m only 21. I arrived in LA from New York City, took the shuttle and arrived at Midway. I prepaid the car online to get a better rate. I got to the front desk and realized that I left the card I paid with back home in New York. The employee was more than helpful by issuing me a refund and transferring everything into my girlfriend’s name. I wish I would have caught his name to praise him but he made the stressful situation much better and definitely would be renting with Midway again next time I’m in LA! One of the easiest car rental experiences I’ve had. Needed a car last minute for the day and was recommended to come to Midway from our hotel. Reserved a car over the phone and when we arrived to fill out paperwork and pick up the car, Jorge was super friendly and helpful. Service was exceptional and fast. Would rent here again!! I read the reviews before renting a car here and I’m so glad I did! The reviews were spot on! From the moment I was dropped off by the Joe’s Parking Shuttle, I knew that I had found the right car rental provider. The staff is friendly and the 2018 Corolla that I was given was clean and in great shape! The return was easy too! And like the other reviews…there were no hidden fees and the return process was simple! I will be back! Dave Ross, Roxanne and the rest of the team are terrific. Never going to waste time with Enterprise, Budget or the other guys again. All of their cars are black, white or silver with classy makes and models appropriate for business meetings and travel. When they say it’s in stock, they actually have it when you show up. They also have plenty of personnel so you don’t have to wait in line forever like the other guys. After being hit, I rented at Midway instead of the other guys and the car was new, perfect and clean. The opposite of the other guys where you show up and they tell you “Sorry, that car is gone. All we have left is the Purple Dodge Neon (that smells like cigarettes).” Competitively priced with way better vehicles, much more professional, personalized service and they will pick you up just like the other guys. Highest recommendation. BMW for the same price as your average car rental?! Why not?! This has got to be one of LA’s few good deals. Convenient location near the airport. Check in was a breeze the staff members are super friendly, good customer service. Clean, new car. No ridiculous additional fees. You cannot go wrong! A real hidden gem! This was my first time renting from them and definitely not my last. Prices are reasonable, service is excellent, cars are new and clean, & they even provide bottled water for you in the shuttle and at the office. I was stuck in traffic when heading back to return the car, & they even took me to the terminal because I was 40 mins from departure time. Midway goes above and beyond & makes the car rental experience so much more pleasant! Tip: Their shuttle is not with the other rental shuttles. You need to go to the Airport Connections (blue sign) & take the G bus. Ask the driver to take you to the rental car depot, & then there’s a Midway shuttle waiting for you there. The actual office is actually walking distance to T1/7. The best car rental in downtown Los Angeles. I have booked cars with also other car rental companies, but always had problems with the cars. Finally a good service! We had a Mustang booked and went there and switched with no difficulties to a Camaro convertible. The prices are very competitive and Daniel was great! Professional service with prepared and kind personnel. If you have to book a car in Downtown LA, Midway is the best choice. Okay I don’t even know where to begin… SHUTTLE: We were picked up within 5-10 minutes. The driver was pleasant and the seats were cushy! 5 minutes later we arrive at Midway and that’s where my mind began to be blown. WAIT: It’s a Friday about 9am and the wait was about ten minutes. The place itself is beautiful clean, and modern. COUNTER: The woman was so kind and gentle. She welcomed us and didn’t push anything on us. She even upgraded us for free! GARAGE: We walked into the garage and I swear that it even smelled good. Like a new car. We wait 5-10 minutes and all of a sudden a BRAND NEW Toyota Corolla pulls up SPOTLESS. CAR: GORGEOUS CLEAN TOUCHSCREEN…. we are paying $152 total for 5 days for a BRAND NEW CAR. My jaw has been dropping since we walked in the garage and it smelled good! FORGET crappy car rental companies paying TRIPLE what we paid today for a car dated 10 years back. COME TO MIDWAY. I rented a car from LAX, and the staff was professional and helpful. I had purchased insurance through a third party (never again! ), and a car hit the back of my rental car during my stay in LA. Dealing with insurance with the third party was painful, but Midway Car Rental took ownership and was a lifesaver when it came to deal with insurance. I would like to mention that Yuri Martinez was an absolute pleasure to communicate with! He went above and beyond to deal with the insurance claim and made it miraculously easy to deal with. I will rent again with Midway, as I was more than satisfied with their customer care, but I advise purchasing insurance directly with them rather than a third party. The type of customer service I got from Yuri is rare and for this reason I advise renting with Midway! Impeccable service that went above and beyond. My flight got delayed but Arbi Ghazarian (thank you) stayed late even after their closing hours and made sure the process was smooth. Note to others, check out their business hours, as their open hours are shorter than the bigger rental companies and make sure to call them if there is a change in your travel plans. Thank you Dave and Charles at Midway Car Rental! You really eased the pain and stress I was going through after my car was involved in a hit and run by taking good care of me, quickly. I rented a newer Toyota Camry and was able to go on about my life as if nothing had happened while State Farm took care of it. 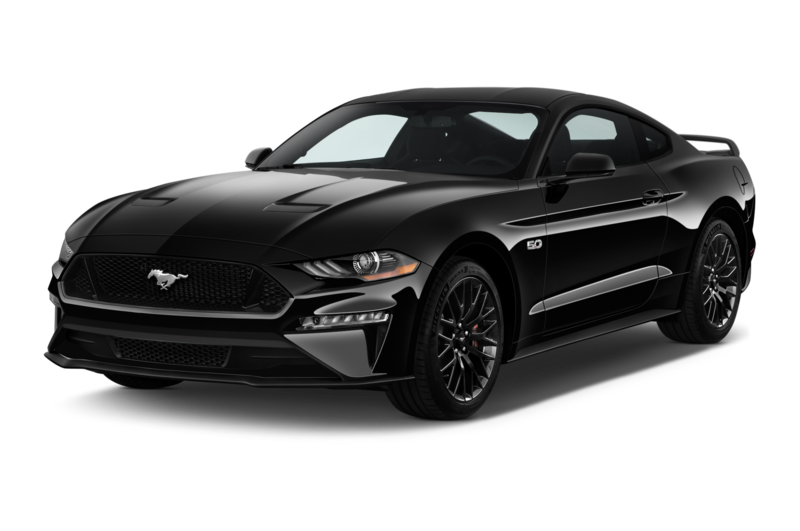 I highly recommend your establishment for anyone in need of a rental car for any period of time, and they have some really nice cars, including very cool luxury cars, to choose from. Thank you thank you thank you!! !